Hope you'll play along and post on your LJ. Describe your pet in two words. 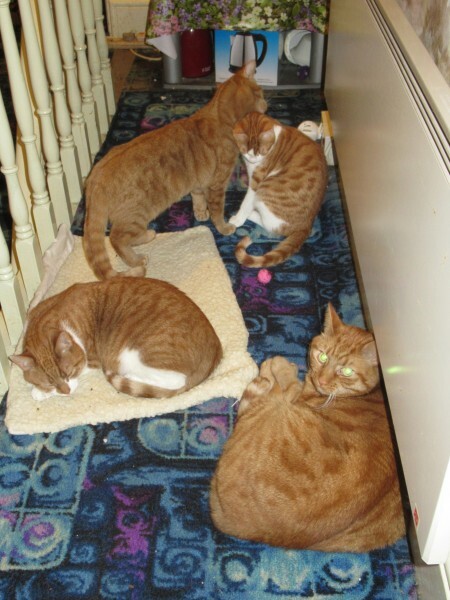 They are all cats, all boys, 2w ginger and w2 ginger and white. A rare photo of all of them together.